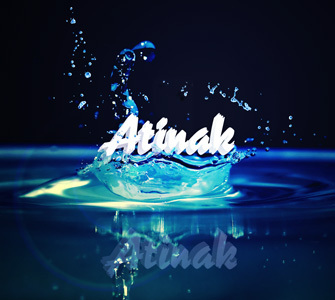 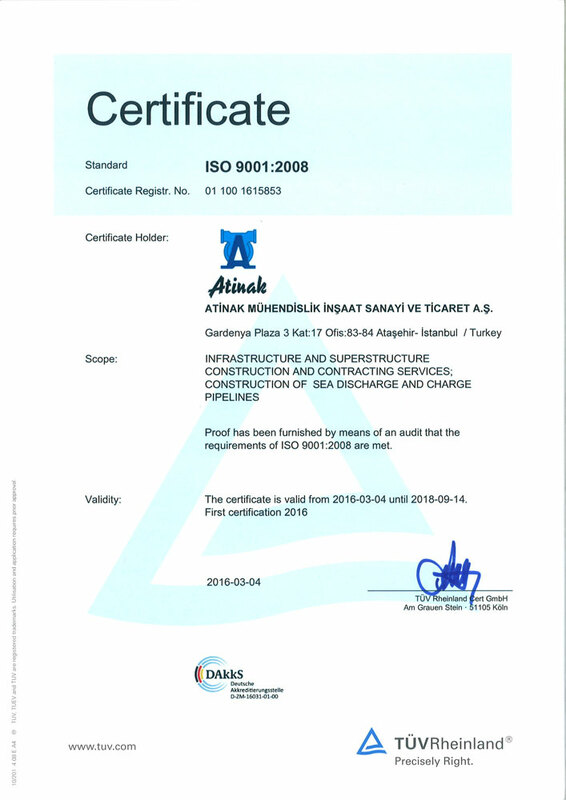 Atinak Engineering Construction Industry and Trade Inc. ; has started its services with the title Atinak Engineering Installment in June 1994. 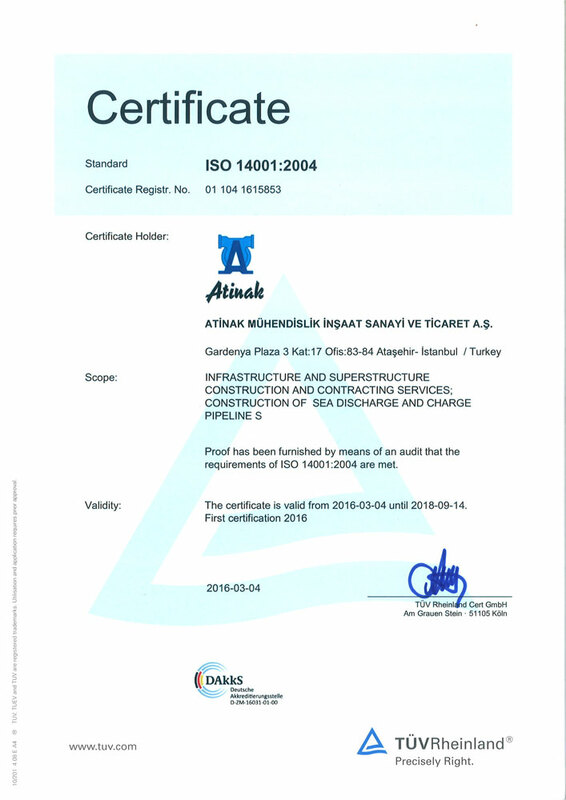 Initially starting with implementations of Plumbing Projects and with an acceleration which increases consistently according to the dynamics of the country, success graph has progresses increasingly in all kind of its implementations as Drinking Water Network Pipeline, Marine Outfall Pipeline Project , Marine Contructions, Specific Engineering Installments, Pipe Transport Systems, House Networks ,Water Intake Constructions. 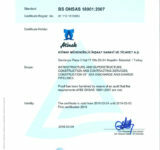 In every project by using engineering services in maximum capacity ,succeed is our aim. 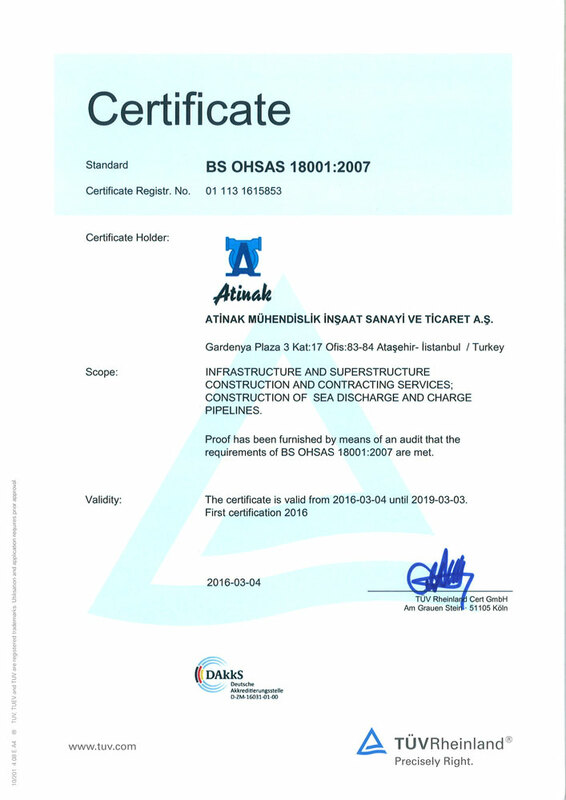 We achieved this aim both in homeland and abroad. 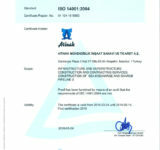 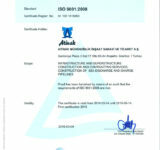 Atinak Engineering Construction Industry and Trade Inc. has authenticated the quality of its services with various certificates both in homeland and abroad;with experienced and trained manpower; it works with maximum efficiency and engineering principle in every sector it is in service and it takes place among leading companies.